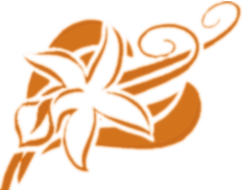 "Vanilla – A feast for the senses!" 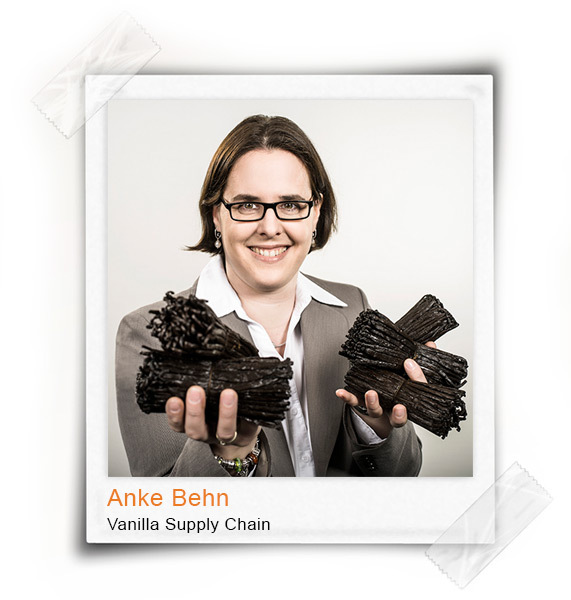 At Gebrüder Wollenhaupt, I handle all supply-chain issues of the vanilla department. This means that I am in direct contact with our suppliers, seeing to it that the correct quantities of the different raw materials find their way to our warehouse on time and that our goods-in quality procedures are followed. Within the context of quality control, I regularly charge external labs with the necessary analyses. We trade vanilla with different certifications – if you have any questions about Organic, BIOSUISSE ORGANIC or Fairtrade, you can contact me at any time. As I work part-time, my children usually determine my afternoon programme. They can be relied on to make sure that the rest of the day is as interesting as my work in the vanilla team. The vanilla mill is always on our breakfast table. Honey, jam or chocolate spread – all sandwiches are refined with a pinch of vanilla!